← Open House Sun. March 24th in Park West! Beautiful move in ready home, great floor plan, great location! 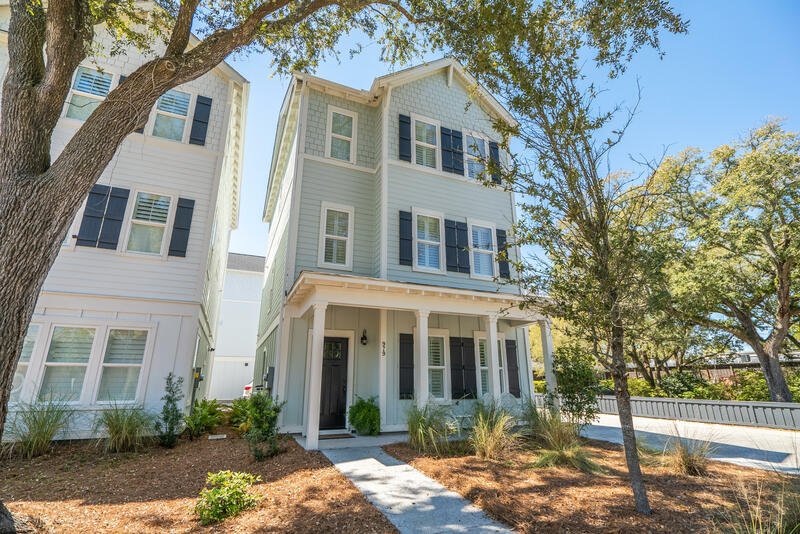 Walk to restaurants and shopping, close to beach, and convenient to downtown Charleston! Elevator to all 3 floors, enclosed garage, mother in law suite/office on first floor, no flood zone! This home offers hardwood floors in the living areas, 9' ceilings with crown molding, plantation shutters throughout, and 3 bedrooms each with its own private bath. The kitchen is open to living room, and features white cabinetry with soft close doors and drawers, granite countertops, and stainless steel appliances including gas range and refrigerator. The living room offers lots of natural light and gas fireplace accented with shiplap. The master suite has a double vanity, soaking tub, and walk in closet customized by California Closets. The guest bedrooms also have tile floors and showers, and granite vanity tops. Additional features include a one car garage, and transferable termite bond. Washer and dryer are included.